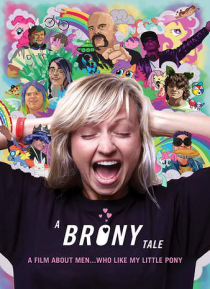 Canadian voice-over artist Ashleigh Ball has been the voice of numerous cartoon characters. However, when she was hired as the voice of Apple Jack and Rainbow Dash on the 4th generation installment of Hasbro's 'My Little Pony: Friendship is Magic' series, she had no idea she was about to become an internet phenomenon and voice celebrity among a very unique type of fan...The Bronies. 'Brony' is a d… ocumentary that follows Ashleigh into this unknown world - and challenges some deep preconceptions.